Nigeria, Africa’s largest economy, takes the lead in e-commerce, with over half of the nation’s internet users having shopped online. Some 65% of active internet users have shopped online, with 24% expected to do so in the future, according to a study conducted by a global market research company, Ipsos. Airtel Nigeria, one of the largest mobile operators, with close to 30 million subscribers, is giving its customers 100,000 free daily internet passes, every month for 6 months. Underwritten by Payporte, a leading online-shopping portal, and powered by Opera’s Sponsored Web Pass solution, this partnership aims to bring more Nigerians online. This offer follows-on from Africa’s first Sponsored Web Pass on the MTN network, which was underwritten by Naij.com. 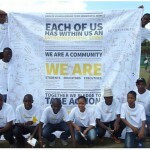 Thousands of MTN subscribers enjoyed a total of 1 million, 24-hour internet passes for free. With the Web Pass offer from Airtel, you are free to browse the internet as you wish, but, given that 90% of online shoppers in Nigeria use their mobile phones to shop online, this initiative also aims to give you the best online shopping experience, with a trusted provider. To get your hands on the limited offer, you need to be on the Airtel network. 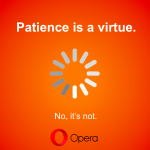 Visit webpass.opera.com on Opera Mini and fill in your phone number and gender. Join us in this important next step in bringing thousands more Nigerians online. Previous article: Stretch your student budget with these free appsNext article: Is email dead?